As Canadian merchants begin to accept chip-based payment cards they can expect to see a reduction in fraud. But merchants who don’t make the switch by October 2010, would also accept more liability for fraud , according to Visa Canada Inc.
Visa announced it would start replacing its magnetic stripe cards with a microchip-based card in 2003. Those have now started rolling out, being issued to consumers as replacement cards. The process, which began last Fall and will continue over the next several years. The basic difference for consumers is that instead of swiping you card and signing a slip of paper, you now insert your card into a reader and enter a PIN to authorize a transaction. 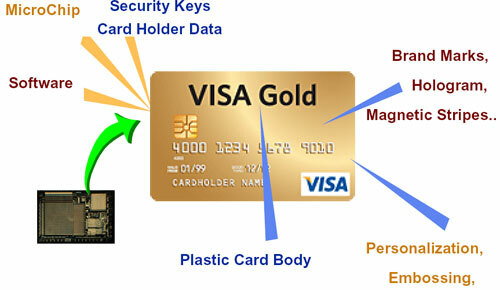 But for merchants, who accept Visa as a form of payment, the new chip cards come with a bit more baggage. Not switching over to a chip-based Point of Sales (POS) machine could mean a merchant accepting the liability for potential credit card fraud that exploits older magnetic stripe cards. Improper use of the card by untrained staff could also result in fines. It’s all in the effort to eliminate payment card fraud – the primary responsibility of everyone involved in a card-based transaction, according to Gord Jamieson, head of payment system risk at Visa Canada. Payment card fraud in Canada totalled a whopping $511 million in 2008. That figure has growth alarmingly over the years — it was $240 million in 2006 and $60 million in 2002. About half of the fraud is due to counterfeit cards being produced using stolen magnetic stripe data. “That’s seed money being used by criminal organizations and terrorist groups to fund other activities they’re involved in,” Jamieson says. The chip-based card is supposed to stop that. Its security features are tough to crack – “impossible” according to Jamieson, and very tough to break according to industry observers. Canada lags behind some European and Pacific countries that have already deployed the chip card. But it is ahead of the U.S. in rolling out the tougher security technology. Payment card fraud tends to shift away from countries that move to chip cards, as fraudsters target the magnetic stripe cards used in other countries, says Catherine Johnson, the president of Advanced Card Technologies (ACT) Canada. Based in Ajax, Ont. ACT’s mandate is to promote awareness, understanding and use of advanced card technologies across a wide range of applications. Even chip-based cards still have a magnetic stripe on the back. Visa and other card providers understand that not all countries will be able to make the shift at once, nor will all the merchants in one country. So the stripe remains as a back-up to the chip, Jamieson says. But merchants are expected to support chip-based cards by October 2010. “If as a business, you decide not to not put a chip terminal in your location, and there’s a magnetic strip card that’s compromised, you as the merchant will be responsible for that fraud,” he says. With only 18 months left until the liability shift, many small businesses may find themselves liable without realizing it, says Catherine Swift, president of the Canadian Federation of Independent Businesses that represents the interests of small and mid-sized businesses in every sector. Given a tough economy, Swift wonders if a grace period might be allowed by Visa instead of a hard deadline. She’s also concerned that it will be tough to inform small business operators about the new policy, and some will be surprised to find they’re on the hook for an expensive fraud charge. “This is the kind of thing they don’t focus on until they’re right up against it,” she says. Some smaller merchants will be informed by their payment acquirer of the need to switch over, Burbach says. But others may be surprised by how much fraud does occur, and may not fully grasp the risk involved in not adopting the new technology. Visa held several events across Canada that aimed to inform small businesses about the new technology. At a recent event in Toronto, about 20 people showed up.